Is the cannabis anti-inflammatory approach a better option? Evidence so far says YES. If recent research is any indication, chronic inflammation may just be the single most important risk factor for determining whether or not you’ll live a lifetime plagued by disease. Over the last two decades, “inflammation” has become a serious buzzword among health and wellness professionals. Not only is chronic inflammation associated with a host of very serious and deadly diseases, but new studies have found that unnecessary inflammation plays a part in many common day-to-day ailments that lower quality of life and contribute to pain, illness, and suffering. In fact, inflammation is thought to be a culprit in everything from heart disease, cancer, and diabetes, to ailments like depression, arthritis, and irritable bowel syndrome. Inflammation is a natural phenomenon and is a vital part of any healthy immune system. For example, if you cut your leg and risk infection, inflammation is the first way the body tries to protect itself from a disease. While inflammation can save your life, chronic inflammation occurs when the immune system is in a hyperactive state. For some reason, the immune system is continuously aggravated. Eventually, this aggravation can lead to serious health problems and general discomfort. Diet, lifestyle, genetics, and environmental factors all contribute to whether or not excess inflammation is present in the body. Over time, the burden of too much inflammation contributes to aging and illness. While strong anti-inflammatory medications are often used to treat serious inflammatory disorders, lifestyle interventions and natural alternatives are rarely used as primary methods of inflammation control. But, what if a safe and natural remedy has existed for years right under our nose? While additional research is sorely needed, one controversial herb may be a strong contender in fighting inflammation and inflammatory diseases. Cannabis can help restore balance and health in an ailing body. There is a good reason why cannabis is being seriously considered as future novel hepatitis and post-concussive remedies. Cannabis has got serious anti-inflammatory potential. As it turns out, unique compounds in the plant called cannabinoids engage cells in the immune system that regulate inflammation. 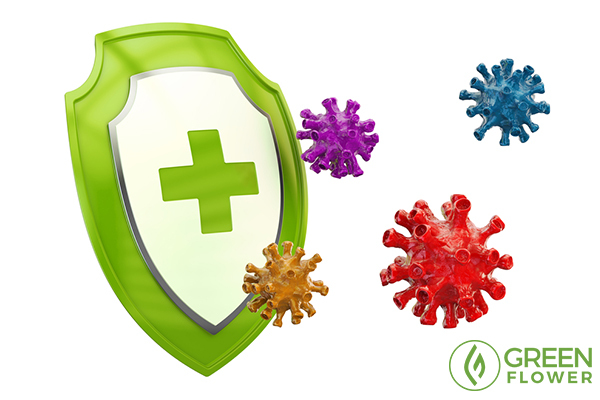 Fascinatingly, preclinical research highlighted in Dr. Bonni Goldstein's Cannabis Revealed suggests that cannabinoid molecules may either stimulate or reduce inflammation depending on the needs of the immune system. For those with chronic inflammation, the herb’s immunosuppressive qualities may be life-changing. When inflammation runs rampant, natural plant compounds work with immune cells to calm hyperactivity and reduce swelling, oxidative stress, and pain. The ability to safely reduce brain inflammation could save lives. Some of the most impactful research regarding cannabis for inflammation comes from research on brain diseases and injury. 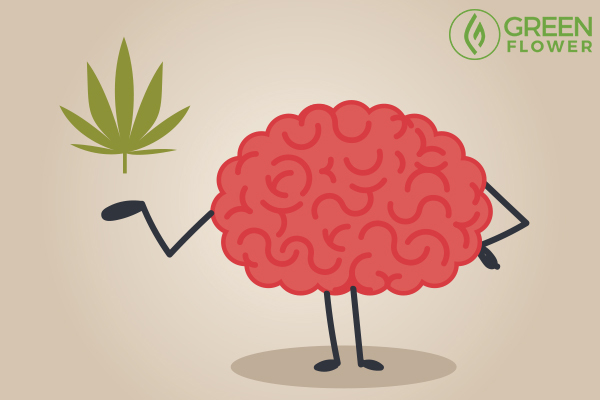 In 2016, scientists from the Salk Institute discovered that treating brain cells diseased with Alzheimer’s with tetrahydrocannabinol (THC), the primary psychoactive in cannabis, not only reduced the buildup of signal-blocking amyloid plaques but also reduced inflammation in neurons. Other research has found that endocannabinoids, which are cannabis-like molecules that humans produce naturally, play a vital role in reducing inflammation after traumatic brain injury. 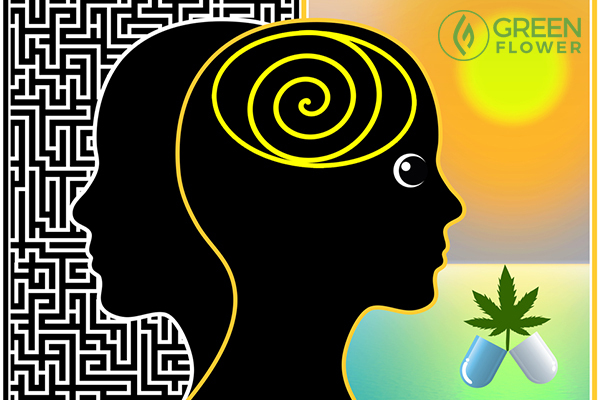 These amazing findings have inspired several nascent bio-pharmaceutical companies to explore cannabis and isolated cannabis compounds as tools for reducing brain inflammation due to disease and injury. 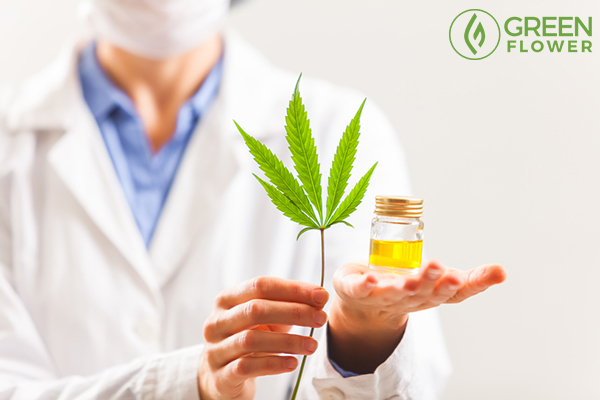 Some of the most promising findings have been in regard to cannabidiol (CBD), a non-intoxicating component of the cannabis plant. While many cannabis compounds have anti-inflammatory potential, CBD has been found to be a potent immunomodulator in preclinical research and may work well to decrease inflammation both in combination with and apart from THC. When properly used, cannabis can inspire you to live a healthier life. There are many factors that contribute to inflammation; diet and lifestyle are the biggest culprits. While cannabis can act as a medicine that reduces inflammation and eases pain, the herb can also be integrated into larger lifestyle changes that fight inflammation for the long-haul. For example, a person experiencing chronic pain may be unable to get regular exercise. Research has shown that regular exercise can reduce inflammation over time. For those with chronic pain, this can be a bit of a catch-22. Exercise eases pain and reduces inflammation, but pain and inflammation can make it unbearable to exercise. Natural anti-inflammatory support like cannabis may be helpful for those who need pain relief to make it possible to start a regular exercise routine. Likewise, taking the time to make at least one healthy lifestyle decision each day makes it easier to adopt other new and meaningful health habits. Known as “the transfer effect” research has actually found that getting more exercise makes a person crave a fruit and vegetable-rich diet. What does this have to do with cannabis? Here’s an example: if cannabis helps an arthritis patient get to a swimming pool in the morning, that person is more likely to choose a healthier breakfast or make other impactful decisions throughout the day. Healthier lifestyle decisions mean a greater reduction in lifestyle-induced inflammation. Which option do you prefer? Maybe both? While conventional anti-inflammatory medications save lives, they also can come with serious side effects. Estimates published in the American Journal of Managed Care found that non-steroidal anti-inflammatory drugs (NSAIDs) contribute to 100,000 hospitalizations each year. The primary complaint? Gastrointestinal complications. Bleeding caused by drug-induced ulcer is the most common side effect of the regular use of NSAIDs. Serious kidney and heart problems are also major concerns with the regular use of these drugs. In fact, 11% of preventable hospitalizations are attributed to the use and prescription of anti-inflammatory drugs. Unfortunately, NSAIDs are often recommended as daily medications for those with pain ailments like rheumatoid and osteoarthritis. So, how does cannabis compare? While there is much more to learn about this amazing plant, preliminary research has found that the herb holds potent anti-inflammatory properties without many of the harsh side effects of NSAID drugs. For example, cannabis is unlikely to cause agonizing internal bleeding in your intestines. Nor is it likely to cause permanent damage to the kidneys, at least, as far as the 17,000+ articles on the herb have found thus far. While old statistics have found that NSAIDs contribute to 16,500 deaths each year, there has yet to be a single reported death caused exclusively by cannabis consumption. There’s no doubt that this is one herbal alternative worth exploring. Many people fail to realize stress is a big factor in chronic inflammation. This next fact may come as a surprise to many. One of the biggest instigators of chronic inflammation? Whether its physical, emotional, or psychosocial, chronic stress can impact your body’s inflammatory response. It’s well known in cannabis literature that compounds in the plant act as potent anti-oxidants, reducing the impact of environmental and physical stressors. Those who consume the cannabis plant for either medical or other purposes are often quick to point out that stress relief, improved mood, and an overall improved sense of well-being are common side effects of both high-THC and high-CBD cannabis varieties. 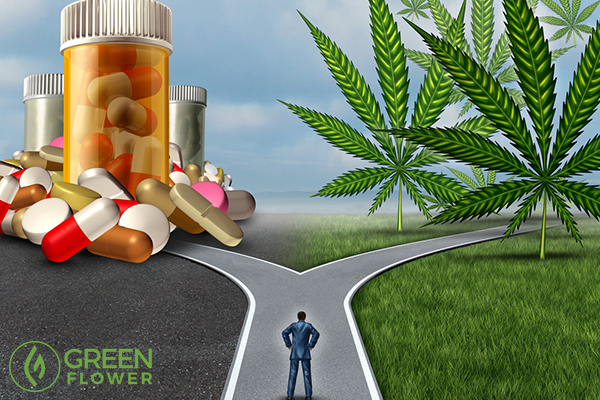 However, for cannabis to be most effective for stress management, dosage seems to matter. A recent study from the University of Illinois at Chicago found that low to moderate doses of THC promote relaxation, while high doses may increase social stresses. Still, for those who need to make more time for stress relief, partaking in cannabis therapy may be one way to let go of anxiety and slip back into the present moment. 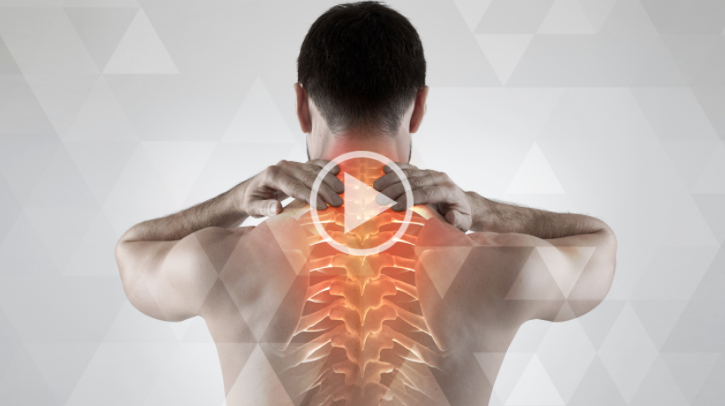 Over 80 million people suffer from chronic back pain or nerve damage, and, for the longest time, opiates have been the prevalent treatment. But what if you could use cannabis instead and experience far better relief with little to none of the negative side-effects? In this video, cannabis practitioner Mara Gordon shows you how. Is chronic inflammation a challenge in your life? What are the Best Cannabis Strains for Anxiety?